Pascal Liguori & Son have sold all three units of the modern luxury townhome development at 215 MacFarlane Drive in Delray Beach, Florida. Congratulations to the new owners of these fine luxury estates! Unit A had a last asking price of $2.495 Million USD, Unit B (213 MacFarlane Drive) had a last asking price of $2.595 Million USD, and Unit C had a last asking price of $2.495 Million USD. Pascal Liguori & Son represented both the Seller and the Buyer for Units A and B. With their floor-to-ceiling window walls, mixed materials, and sharp geometric architectural details; these stunning residences bear the signature design cues of renowned South Florida architect Richard Jones. They make a dramatic statement in their sought-after location. These stunning residences reside across the Intracoastal Waterway on the east side of Delray Beach. Delray’s gorgeous beaches are a short stroll away, while the famed street of Atlantic Avenue is just two blocks north of the property. If you are considering the purchase or sale of a Delray Beach luxury property priced in excess of one million dollars and are seeking unrivaled representation, contact Pascal Liguori & Son by phone at (561) 320-3109 or email at pascal@premierestateproperties.com. This entry was posted in Sold Estates on January 3, 2019 by Pascal Liguori. We at Pascal Liguori & Son are pleased to announce the sale of this stunning Manalapan estate! This beautiful luxury home had a last asking price of $5 Million USD and Pascal Liguori & Son represented both the Seller & Buyer. Congratulations to the new owner! The prestigious coastal town of Manalapan, renowned for the quality of life it offers its residents, is conveniently situated immediately south of Palm Beach and north of shopping, dining and entertainment hotspot Delray Beach. Spanning a total of 6,471± square feet and offering five bedrooms, six full baths and one half bath, this estate was added to the long list of luxury homes priced in excess of one million dollars sold by Pascal Liguori & Son. 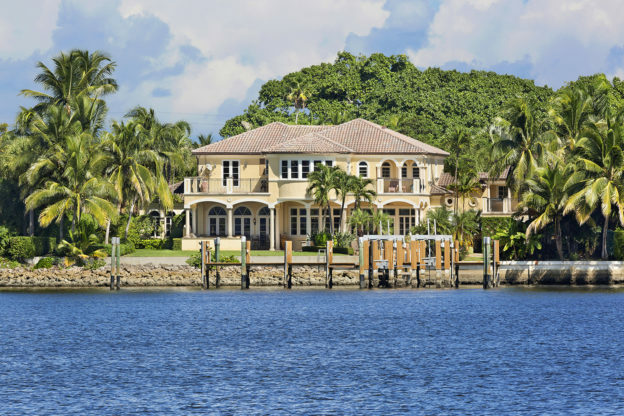 If you are considering selling your South Florida luxury home priced over $1 million and are looking for excellent representation from experienced real estate professionals, contact Pascal Liguori & Son by phone at (561) 320-3109 or by email at pascal@premierestateproperties.com. This entry was posted in Sold Estates on October 9, 2018 by Pascal Liguori. both Seller & Buyer. Congratulations to the new owner! interior; and a breathtaking outdoor living space that includes a lagoon-stye pool and spa. This entry was posted in Sold Estates on September 7, 2018 by Pascal Liguori. Named the #1 Broker in Palm Beach County and #20 in the Nation by the Wall Street Journal 2017 rankings, Pascal Liguori and his son Antonio, have repeatedly demonstrated specialized expertise at helping buyers and sellers achieve the best results with their high-end real estate. Put them to work for you!